According to Judge Koh's ruling, Apple sought to recover from Samsung attorneys' fees related to trade dress claims argued as part of the first Apple v. Samsung jury trial in California. During the proceedings, which ended in an Apple win, the Cupertino company asserted a total of four trade dress —product design —claims against Samsung, three dealing with the iPhone and one covering the iPad/iPad 2. The jury found 6 of 17 Samsung smartphones diluted Apple's iPhone properties, but did not reach the same conclusion for IP associated with the tablets. When the device is on, a bottom dock of colorful square icons with evenly rounded corners set off from the other icons in the display, which does not change as other pages of the user interface are viewed. 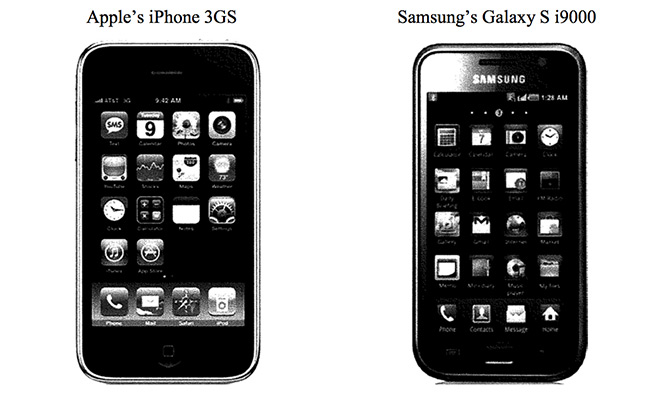 Samsung, however, also presented evidence that the iPhone's design was utilitarian and in some ways based on function, leading the company to believe "its actions were not prohibited" by the Lanham Act, the main U.S. statute regarding trademarks and advertising. Under the Lanham Act, Apple needed to prove that the case was "exceptional" to garner attorneys' fees, otherwise the decision would be left to Judge Koh. In its discretion, based on the Court's evaluation of the totality of the circumstances, the Court concludes that this is not an exceptional case that "stands out from others with respect to the substantive strength of a party's litigating position." [...] Rather, Samsung raised several reasonable defenses to Apple's trade dress dilution claims, establishing that Samsung "might have reasonably thought that its proposed usage was not barred by the statute." As for the $2.6 million bond, the order to release comes after both companies withdrew motions to enforce an injunction against the three-year-old Galaxy Tab 10.1 earlier this week. Apple posted the bond in 2012, though no action was taken due to the lengthy appeals process. Wednesday's news comes after Apple and Samsung agreed to drop all non-U.S. patent disputes in early August, leaving the ongoing appeals from California in play. Both of Judge Koh's orders are embedded below.